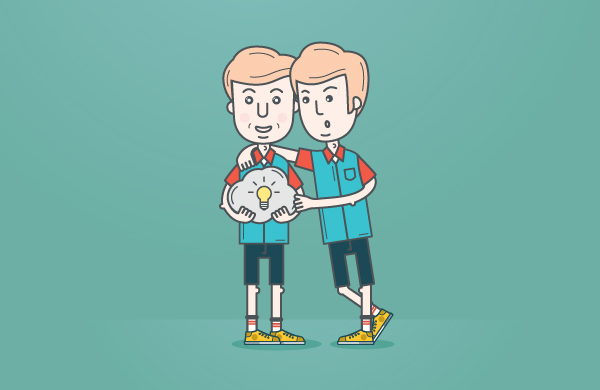 Blog » Self-Plagiarism: Can You Plagiarize Your Own Work? If you’re a student, then you probably understand the iterative nature of your education. In college, courses within a major naturally progress from basics to more advanced topics, which is why there’s usually a sequence to what courses you take, as well as prerequisite courses that must be completed before the more advanced courses. The knowledge you gain in the earlier courses serves as a platform from which you launch into more advanced studies. The same holds true for the curriculum you have or are experiencing in pre-college education from the lower grades to the middle grades to high school. Each year builds upon the knowledge gained from previous years. Given this iterative nature of education, it’s only natural that you might find yourself drawing upon writing from previous years and courses as you move forward. But you must also be vigilant in avoiding self-plagiarism! You may be wondering how in the world can you plagiarize what belongs to you? After all, you’re only recycling content that you yourself wrote, right? But here’s the thing: Anytime you’re using ideas or material that have already been written, you have to properly cite and reference those materials, even if they belong to you! I’m all for recycling paper and plastic and metal, but when it comes to academic or other writing, you’re not allowed to just blatantly re-use your own writing without proper citation. But there’s more to avoiding self-plagiarism than just basically recognizing you’re not supposed to do it. First of all, realize how incredibly easy it is to do. In fact, you might even do it without realizing what you’ve done, so you have to keep a sharp eye out for it. Remember that plagiarism covers not just words you use, but also ideas. Also, there isn’t complete agreement out there about self-plagiarism, so you might have teachers or others who don’t think it’s wrong. It’s always better in these cases to err on the side of safety and avoid self-plagiarism. That way you can have peace of mind that you won’t be called out for it. Many people only consider plagiarism a problem when you’re “stealing” and thereby potentially causing harm to a third party, which is why some don’t even consider self-plagiarism to be an ethical issue at all. But it’s in the academic realm of students where it can more easily be identified as a problem. For example, let’s say you have a science project due but you lost track of the deadline. It’s the night before and you need to turn in something. Why not just re-use what you did two years ago? It was a great project, after all. But it’s clear in this instance that you’re violating the “spirit” of the assignment. Even though your assignment guidelines may not have explicitly stated that you need to come up with an original project, your teacher or professor would clearly have a problem with turning in an old assignment. The whole point of the academic assignment is to showcase your more recent, newer learning. Turning in an old assignment is showcasing previous learning, and previous work, not the latest and greatest that is expected of you. When the expectation is to deliver “original” work, you can also assume that this means “new” work as well. Now think about it in terms of more creative work outside the academic environment. When you announce that you’re coming out with a new piece, your readers automatically expect that what they’re about to read will be both original and new. Notice how the common thread in both scenarios has to do with audience expectations. In the academic context, your audience is the teacher or professor, while in the non-academic creative context, your audience is anyone who will be reading your work. In both cases, the audience is expecting original, new work from you. Recycling content in these cases violates your unspoken or implicit contract with the audience to not self-plagiarize. Another situation to keep in mind is the case where your work becomes published. There are cases where the copyright on the material transfers to the publisher. If you reuse any of that contact, then you’re actually violating that publisher’s rights, essentially stealing from them and committing copyright infringement even though it’s your own writing! This gets even more complicated in the case of scientific academic papers that often have multiple authors. Reusing content from something like that means you’re not only committing self-plagiarism, but also standard plagiarism of the paper’s co-authors. Academic scientific researchers who have done this often wind up being fired and/or fined for their misconduct. You may wonder why anyone would ever allow this to happen, but when you’re an academic operating within an oppressive “publish or perish” atmosphere, you’re under tremendous pressure to get your work published. What feels like a simple shortcut (and who doesn’t like a good shortcut?) can actually be a violation of academic integrity. In a way, I wish everyone were more solidly on the side of considering self-plagiarism a clear violation of ethics and integrity in writing. Why? I fear that some people who get used to self-plagiarizing put themselves on a proverbial slippery slope that takes them one step closer to rationalizing other forms of plagiarism that everyone agrees are wrong. One easy way to avoid the dangers of self-plagiarism is to honestly ask yourself why you’re considering recycling some of your own content. If your honest answer is because it will avoid having to do some of the work expected of you, then you should definitely not do it – your motivation is to get out of doing what’s expected of you. If your answer is something along the lines of “but the way I said that before was so good,” then use it with proper citation. I urge you to take my advice – err on the side of safety by never engaging in self-plagiarism and check your writing with Unicheck. Then you won’t have to worry about it!